The castle Český Šternberk is one of the oldest castles in Bohemia, and is still held by the Sternberg family, which founded it in 1241. The castle retains the outside Gothic style, but the interiors were by early Baroque reconstruction transformed into a chateau. During the tour you will learn about the family history and way of life. 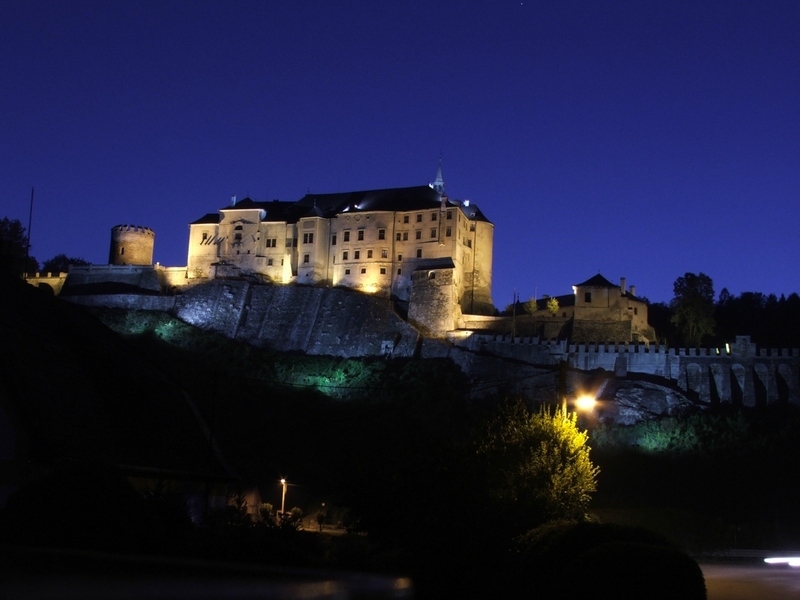 The castle was founded by Czech King and Roman Emperor Charles IV for safekeeping the coronation jewels and holy relics. Today’s shape of the castle was given by the purist reconstruction in the 19th century led by Josef Mocker. The first guided tour includes areas of the Imperial Palace and you’ll also visit Treasury and Jewels Hall in the Marian Tower. The second guided tour will then lead you to the Great Tower with its famous Chapel of the Holy Cross with panel paintings by Master Theodoric. It is the largest collection of medieval paintings from one workshop in the world. 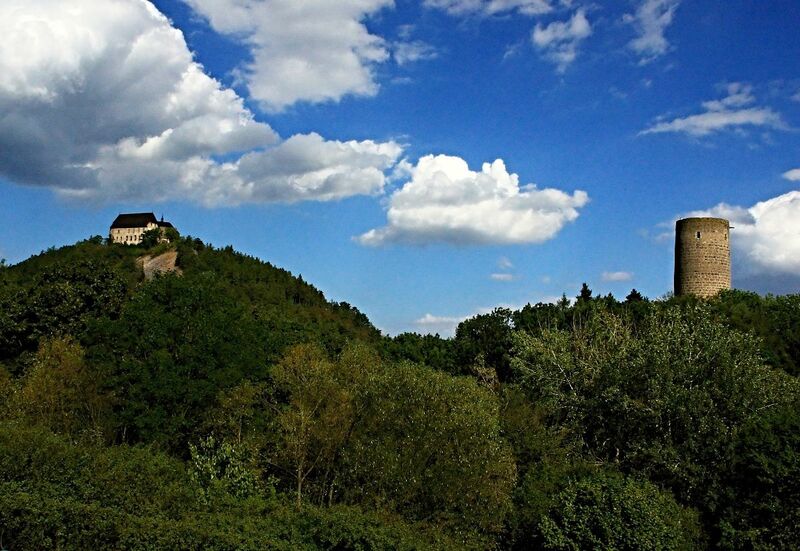 From the mid-13th century the castle Žebrák was used by the nobility and the kings of Bohemia. After a fire in 1395 king Wenceslas IV had to reconstruct it. 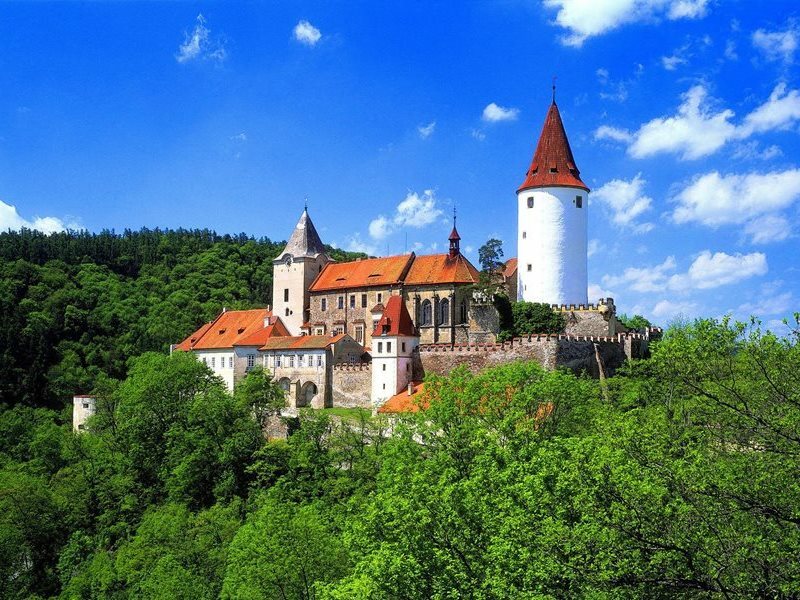 At the same time, on a rocky ridge above, he founded a new castle Točník. Hereby Wenceslas IV created unique Czech two-castle system. Tocnik Castle is an excellent example of advanced medieval architectural art, featuring elements of later construction work, such as graffito decoration of Burgrave’s palace. The remarkable detail is a stone armorial gallery forming the title of Wenceslas IV. 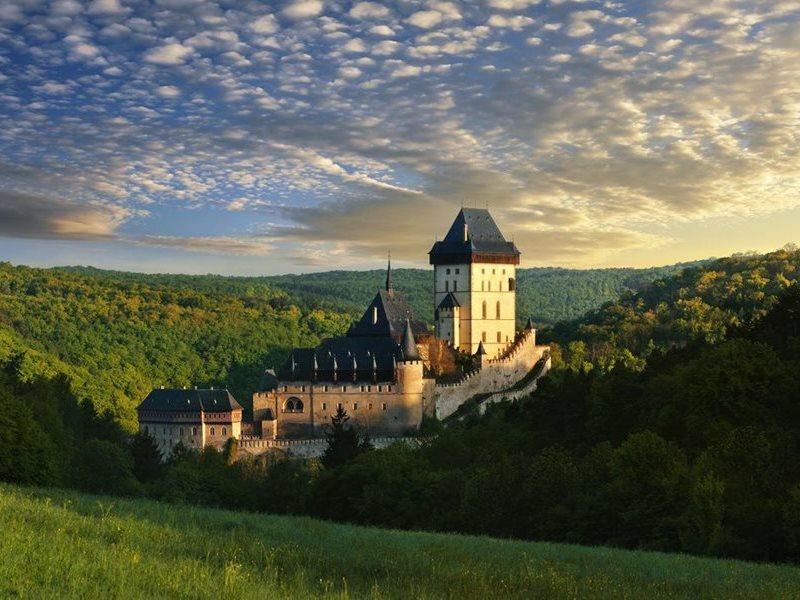 One of the oldest and most important castles of Czech kings, his shape was formed by the Přemyslids, the Luxembourgs and the Jagiellons. Today’s medieval appearance was restored with purist reconstruction in the 19th century. Inside you will find a ranger of unique interiors, such as the late Gothic chapel with rich sculptural and painted decoration or the Great Royal Hall with a spectacular stellar vault. You’ll also visit the library with 52 thousand volumes, a torture chamber or a big lookout tower with a collection of hunting trophies.